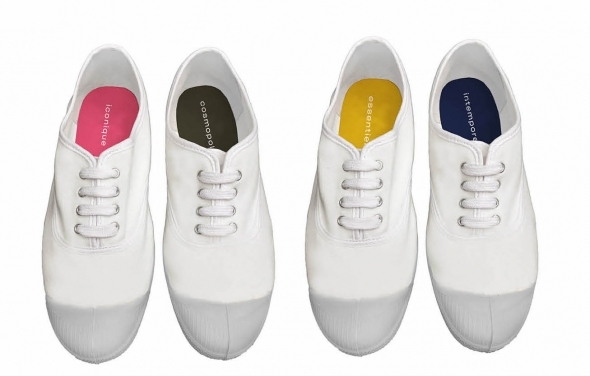 Originally coming from an army stock of tennis shoes for gym, the Bensimon tennis sneaker was reinvented by Serge Bensimon in 1979 to be nowadays an iconic product in French fashion. The tennis shoe, also called the Bensimon climbed the ranks of fashion, appointed by press and unconditional fans. According to the image of Bensimon and his brother Yves - the first store "Autour du Monde" was inaugurated in 1986 in the Marais neighborhood. The tennis shoe was highlighted there among apparel collections insured from travel, military surplus and workwear. Travel has always been omnipresent in the brand creative intentions. 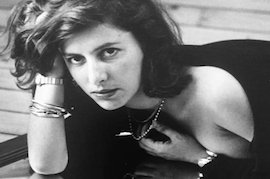 Country spirit and the American way of life inspired Serge Bensimon to open a concept-store in 1989. Back then an innovative merchandising proposal mixing fashion and decoration. Shaker furniture, blankets, tableware are harmoniously mixed with safari jackets chino pantsand fashion accessories. From generation to generation, the shoe seduces by its simplicity, specific colors and capacity of renewal. From Paris to Tokyo going through New York (with Donna Karen), London or Milan (with Corso Como), the French little tennis shoe became an iconic item throughout the world, speaking many language at almost 40 years old. Today, the brand counts over 50 own stores, an art gallery, Gallery S. Bensimon and the design bookstore Artazart. 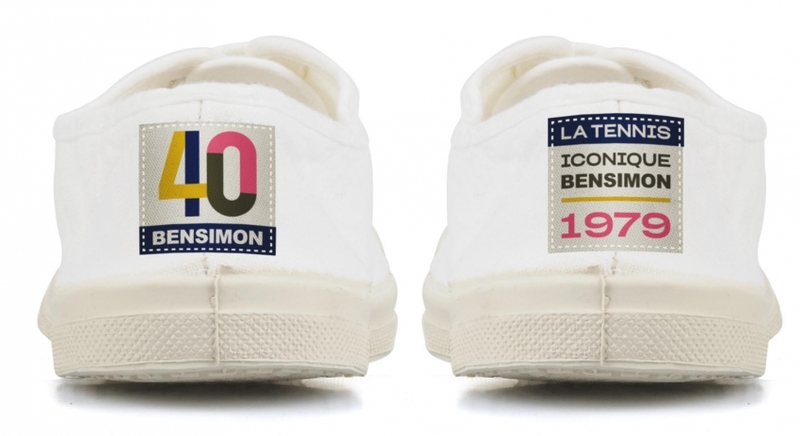 Above all, Bensimon is a story of passion for life transformed in a lifestyle concept to share and convey. The tennis will be sold with its 4 interchangeable soles in a unique monogram pocket exclusive to JOYCE GALLERY, 168 Galerie de Valois 75001.